When The Simpsons started in the late 1980s, very few people would’ve believed that the show could last as long as it has. Like the show or not, you can’t deny how it’s changed the way TV shows look at controversial material and incorporate current events and topics into their plots. For instance, take Episode 450, “Married to the Blob,” which aired this past January. 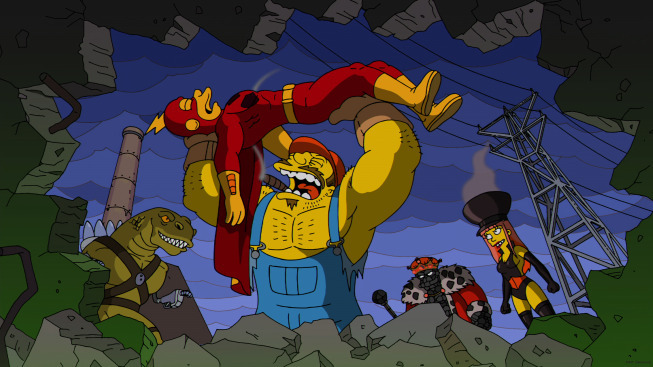 While the main story line deals with Comic Book Guy’s search for love, in quasi Much Ado About Nothing fashion, the first few minutes of the episode regale us with yet another adventure from the show’s favorite superhero, Radioactive Man. And therein lies the show’s genius — what seems to be a short aside (an introduction at best) is actually an acute commentary on energy literacy: reflecting some of the struggles the industry faces as we seek to maintain energy independence, all while steadfastly moving into the future of energy production. The show personifies all major aspects for retrieving and releasing energy. Nuclear energy (fission) is represented by Radioactive Man, and his sidekicks Solar Citizen and Wind Lad represent solar and wind power respectively. In this episode, they face their nemeses, a rough group of villains who call themselves The Fossil Fuel Four. They’re made up of King Coal, Petroleumsaurus Rex, Charcoal Briquette, and the Fracker (the names are likewise pretty opaque, with the characters representing coal, petroleum, charcoal, and the technique of fracking). Through their battle, we see the struggle between sustainable resources and fossil fuels. It would be difficult to overstate the importance fossil fuels have had in creating the modern industrial world. The Industrial Revolution would’ve never occurred without ready access to coal, and the industrialized world still depends on it to a great extent. Fossil fuels have provided a ready source of energy for centuries now because they are easily burned to release their stored energy. When these fuels burn, they oxidize releasing carbon dioxide and water and produce large amounts of energy relative to their weight. These fuels can be found in solid, liquid and gaseous states (like coal, oil, and natural gas). As these resources have become more scarce, new techniques have been developed to extract them from the earth, such as fracking (technically called hydraulic fracturing, which uses controlled explosions to break up the bedrock where these fuels are held) and surface mining (which removes vast amounts of surface rock to gain access to minerals). 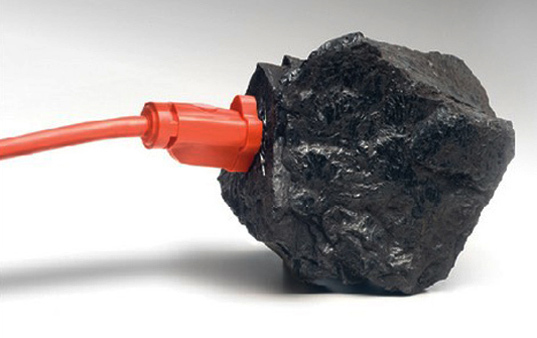 Part of the reason why these new techniques have come into use is that fossil fuels are not easily or readily replenished. They are — quite literally — fossils, and therefore take a long time to form. (The word fossil simply means “evidence of past life.”) Over millions of years, tiny plants and other organisms would settle on the floor of a body of water (ocean, lake, etc.). Other sediment would settle over them, causing them to decompose in anoxic (read: with depleted oxygen) environments. After hundreds of millions of years of exposure to heat and pressure from added sediment, the organic matter is chemically altered. Depending on the type of organic matter, the amount of time and pressure applied, you get different types of fossil fuels. It’s the depletion of fossil fuels and the negative consequences from them (such as poor air quality, which can lead to smog and acid rain, and the massive amounts of carbon dioxide released into the atmosphere, which has caused drastic changes in climate) that has led to our current quest for sustainable energy sources. Editor’s note (Please read the following bold text in a cheesy, comic-announcer-type voice): Will climate change continue unabated? What will happen to Radioactive Man now as he battles The Fossil Fuel Four? Will he defeat his foes — or is it too late? Tune in next time as we catch up with our superhero. Next Post Science & The Simpsons, Part II: What does the future of energy hold?